Looking for a Drug Rehab or Alcohol Rehabilitation Facility in New York? New York residents, whether they live in a rural portion of the state or the City, have drug rehab programs to help them or someone they care about who has a drug or alcohol problem. With the specific drug problems that New York residents face, it is ideal that someone looking for help become very informed so that they pick the drug rehab program for the particular problem and circumstances. Not all drug rehab programs in New York are the same, but drug treatment counselors in the state can help sort all of this by explaining what drug rehab options are available and which one is the right fit. So speak with a treatment counselor today to get this process started right away. In a single-day count in 2013, 114,660 individuals in New York were enrolled in substance use treatment. Among individuals in New York were enrolled in treatment that year, 30.7% were in treatment for drug use only, 40.9% were in treatment for drug use only, 12.7% were in treatment for alcohol use only, and 46.4% were in treatment for both drug and alcohol use. The most significant drug problem in New York in opiate dependence, where 47% or treatment admissions are in treatment for heroin addiction and "other opiate" addiction (prescription pain killers). This problem far surpasses any other drug problem in the state although Alcohol abuse and dependence and poly-drug abuse involving alcohol are also a very serious problem. For over 1 million New York residents aged 12 and older, alcohol abuse and dependence is an unfortunate reality with many consequences. Likewise, alcohol abuse is also very often part of a poly-drug use problem which is one of the biggest drug problems in New York causing even more devastating consequences for residents. Surprisingly, only 5% of residents which such a problem received alcohol treatment last year. So the first problem to overcome is intervention, and the earlier the better. Because New York residents are apparently not readily receiving alcohol treatment, loved ones may need to intervene on their behalf to get them this treatment as soon as possible. The most comprehensive and integrated approach is ideal, and this usually isn't in the form of minimally aggressive approaches such as AA which only has about a 10% success rate. Long term inpatient or residential facilities in the state which can provide essential detox services and then a tailored treatment plan are far more ideal. There are over 900 drug rehab programs in the state of New York. There are 606 outpatient programs, around 250 residential non-hospital programs, and 80 inpatient hospital programs. There are a variety of outpatient drug treatment programs available in New York, comprising about 67% of the treatment options available in the state. Nearly 40,000 of the 55,000 outpatient treatment clients in New York are participating in programs which administer daily opiate maintenance services, where they administer prescription drugs such as methadone and buprenorphine to clients who are opiate dependent. 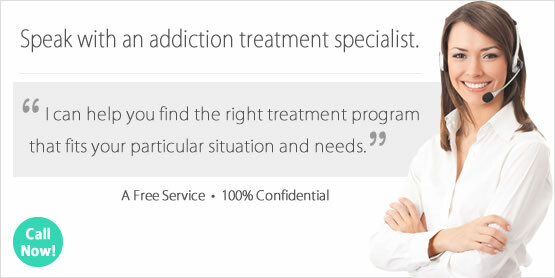 This comes as no surprise due to the scope of the opiate abuse problem in the state, however these types of outpatient programs don't typically provide any other type of treatment service and are therefore not an option for someone who wants to be truly free of their drug dependence. There are alternative solutions however, and many residents have stopped a heroin or pain pill addiction without the use of these drugs through intensive and aggressive inpatient and residential treatment in the state. What does Inpatient Rehab in New York Involve? As stated above, there are around 80 hospital inpatient and 250 residential non-hospital drug rehab programs in New York. Fortunately, of 7,800 residents are benefitting from the most successful treatment option in the state which has the highest success rate of helping clients resolve their addiction, long-term residential treatment. In such a facility, residents receive the most intensive form of treatment in a facility which fully accommodates their needs so they can take the time to turn their lives around, and this usually takes a few months. This makes "rehab" and the goal of rehabilitation realistic, which is why other less intensive programs fall short. The more you put into the treatment process the more you will get out of it. It's a very simple but powerful and true concept. Most of the inpatient and residential treatment in New York will include different types of therapy and counselling which can vary depending on the facility, as well as mental health assessments so that additional steps can be taken to ensure their mental health needs are addressed as part of an already comprehensive treatment plan. What does Outpatient Rehab in New York Involve? There are over 600 outpatient drug rehabs in New York. As discussed, about 1/3 of the outpatient programs in the state only provide opiate maintenance services. Actual treatment in available in the 400 facilities in the state which provide regular and intensive outpatient treatment and day-treatment and partial hospitalization. These facilities offer treatment anywhere from one to several days per week and provide traditional therapy and counseling and some are able to offer dual diagnosis treatment for individuals with a co-occurring mental health disorder. Day treatment/partial hospitalization drug rehab in New York takes place in 81 facilities which provide an environment that is more prepared to help with more extensive addiction issues and those with a dual diagnosis.